I think if I were a woman I’d wear coffee as a perfume. 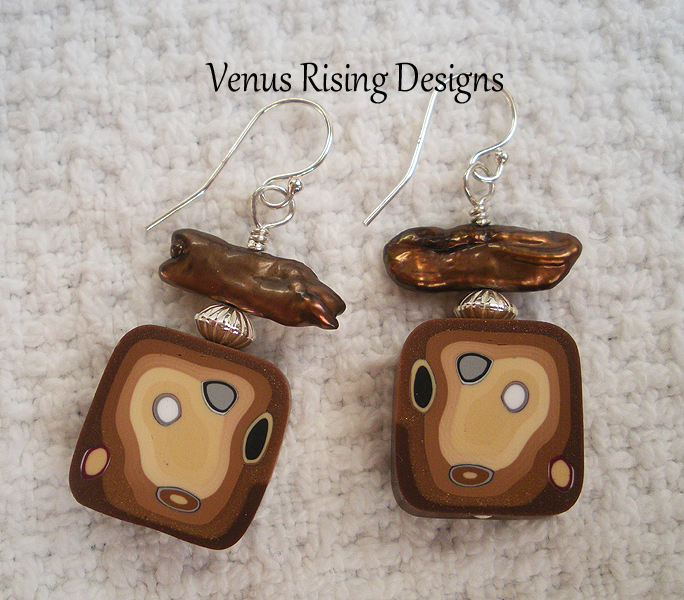 The warm chocolate and mocha browns in these earrings make me think of a nice cup of cappuchino. The polymer clay beads are carefully crafted with different colors of clay, so the pattern is not painted on but actually goes through the beads. Chocolate-brown Biwa pearls (freshwater pearls from mussels) and sterling silver rondelles are a nice contrast. Sterling silver beads and findings; wire wrapped for security. Length is 1-5/8" including the earwires.